Today’s bike ride was an odd one. It was kind of chilly and sort of drizzling at 8:00, and nobody else showed up for the ride. So I went ahead and ride the route myself, and I used the opportunity to test out a new variation. 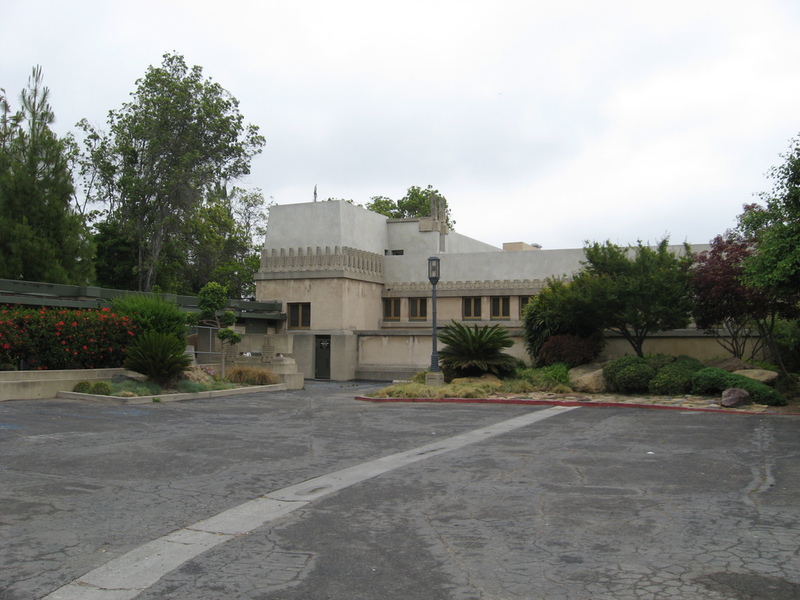 The original destination for the route was Forest Lawn Hollywood Hills to see Lock Martin. He played Gort in the 1951 film, “The Day the Earth Stood Still“. The variation was a test of another route I’ve been thinking about. Last week, the Los Angeles Times had a feature on “The Ten Best Houses in L.A.”. When I was looking at this, I realized that we could go see five of them on a single bike ride. So I thought that today would be a good time to try it out. 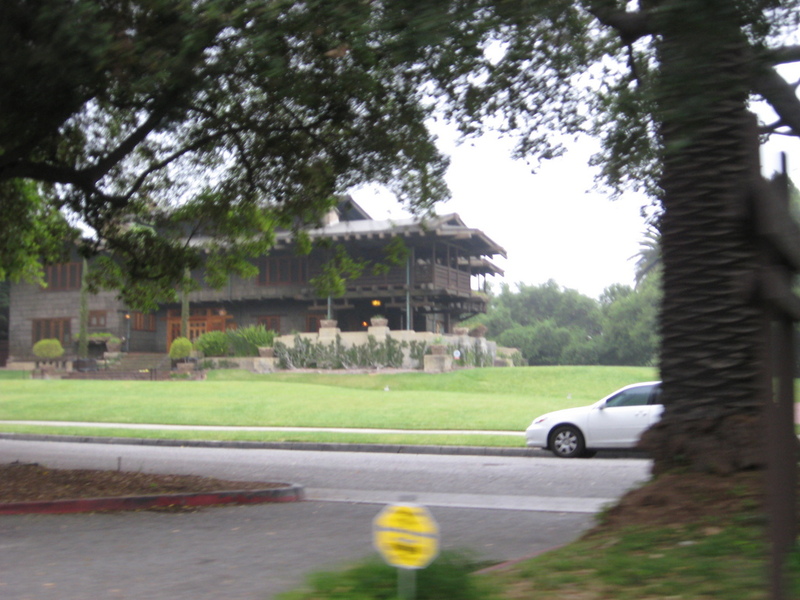 The first house was the Gamble House in Pasadena. We ride past it all the time, and we usually don’t pay any attention to it. But it’s really quite nice. From there, I rode the regular route through Eagle Rock to get to Los Feliz. 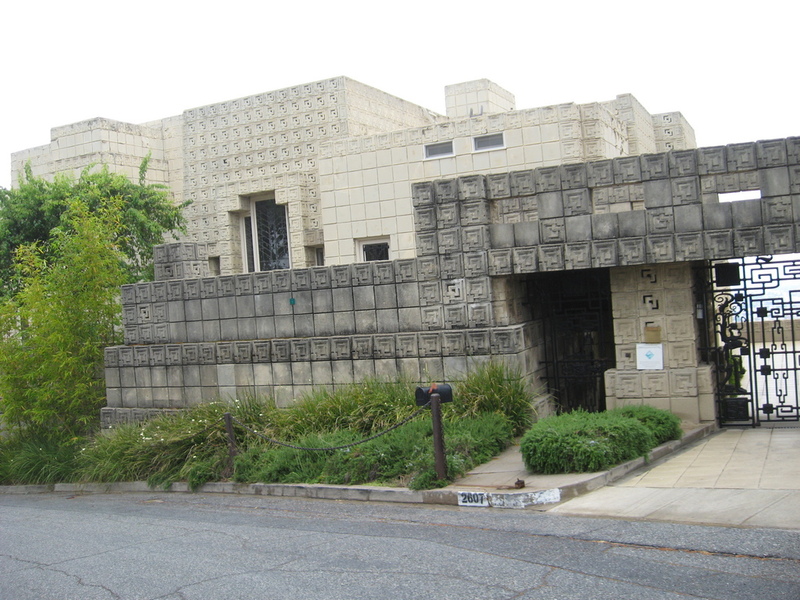 Then I headed up the big hill to the Ennis House. This and the Hollyhock House are two that we’ve visited before on the “Five Wrights” tour. 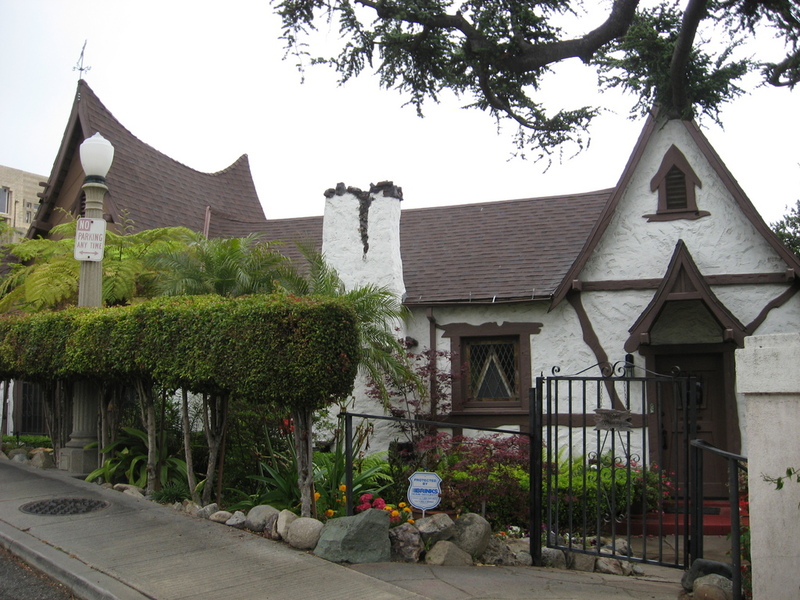 And even though it’s not on the ten-best list, the witch’s house down the street from the Ennis House was also nice. After stopping off in Barnsdall Park to see the Hollyhock House, I headed across Hollywood. They had Hollywood Blvd closed off at Highland. I guess maybe there’s some awards show tonight. 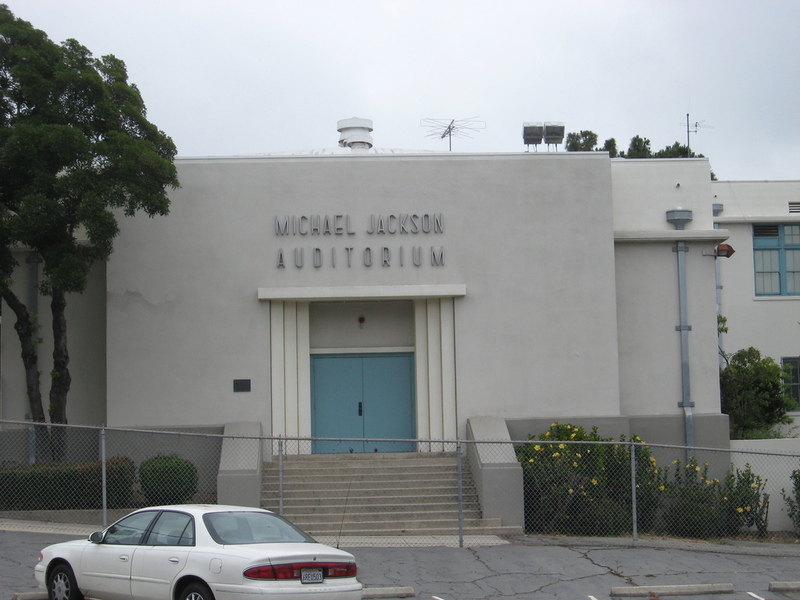 Heading into West Hollywood, I passed Gardner Elementary School and its Michael Jackson Auditorium. 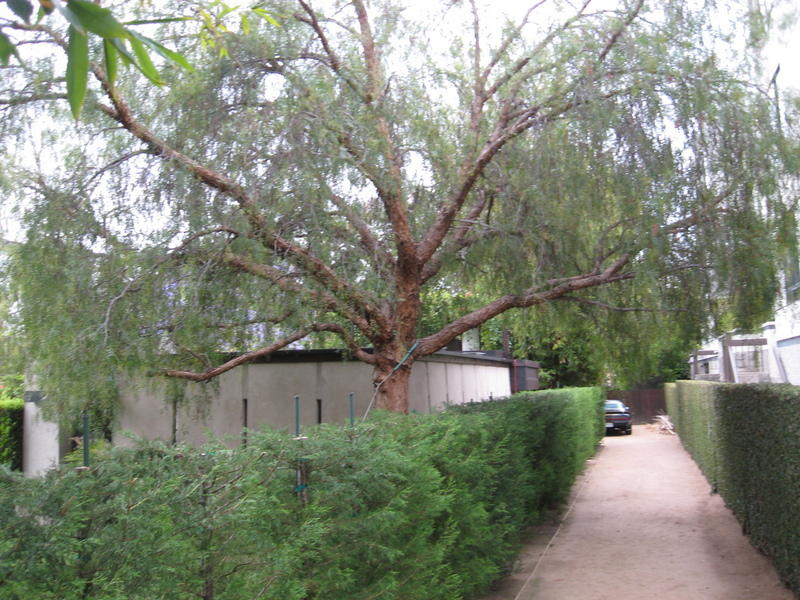 Then I made my way west to Kings Rd and the Schindler House. That was the fourth of the five, and the one farthest away. From there, I headed back to Hollywood. 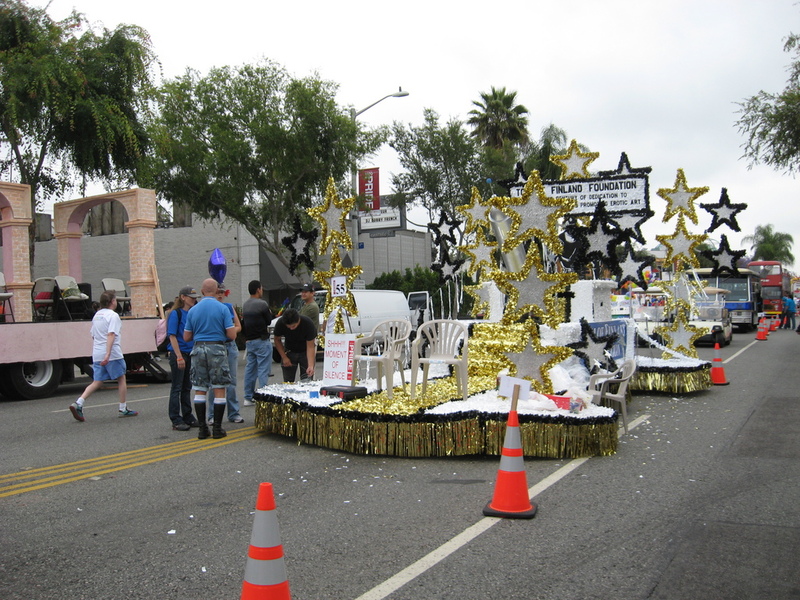 I took a little detour to go through the staging area for the Gay Pride Parade, since that’s always an amusing time. Then I turned and headed up Nicholls Canyon. About this time, it started raining again. That wasn’t much fun. But I made it to the top and then headed east on Mulholland. 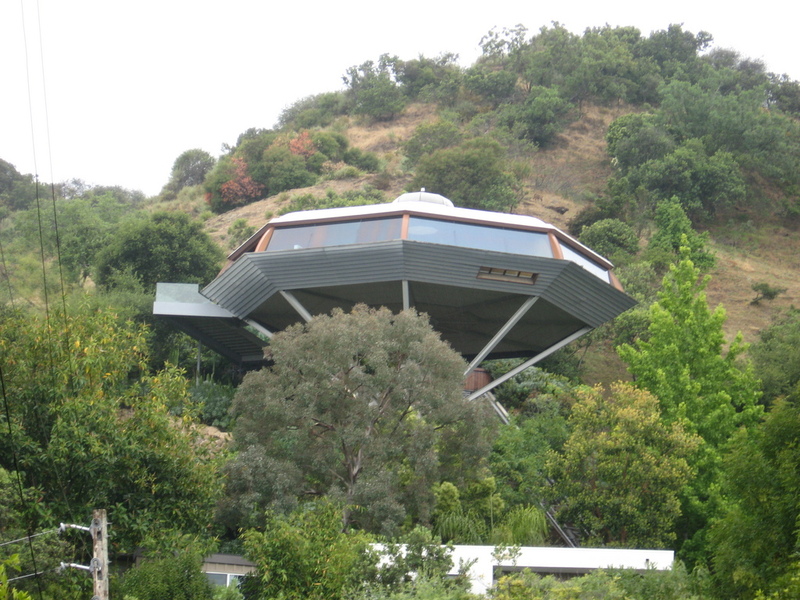 At Torreyson Dr, I turned and went up the hill a bit to see the Chemosphere. It’s visible from the street just a little bit beyond its driveway. 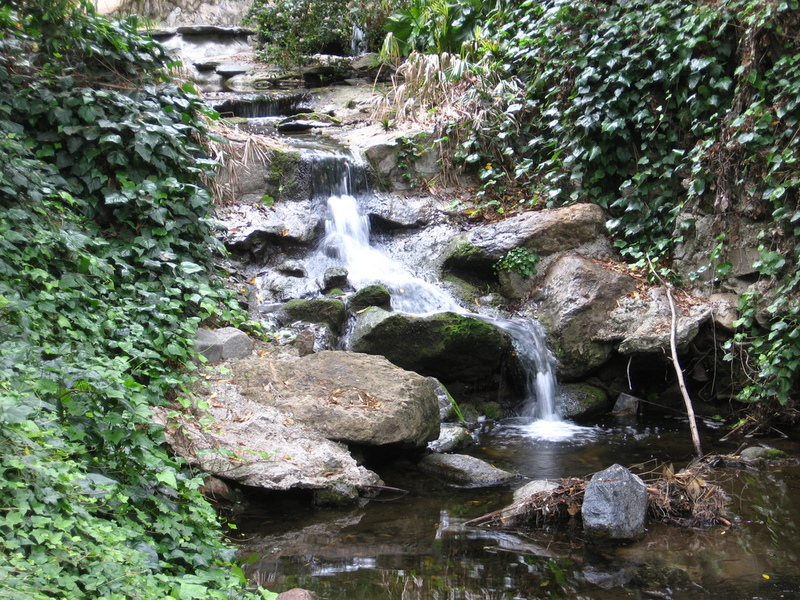 Coming down Mulholland, I headed down into Burbank and then turned into Forest Lawn. It took some looking to find the number markers, but I finally located Lock Martin’s grave. This concluded the sightseeing portion of the ride, and it was time to go home. The ride home was pretty routine. By now I was pretty tired and hungry, so I was looking forward to getting home. When it’s damp like today, my bike computer craps out, so I didn’t get the exact mileage. But putting the route into Google Maps give the total as about 53 miles.